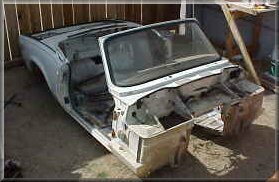 1978 Triumph Spitfire 1500 Body Shell. Door available, rust free, dent free. Buyer to arrange shipping.